Fight for Freedom! This Captain America: Civil War Team Cap Freedom 11 oz. 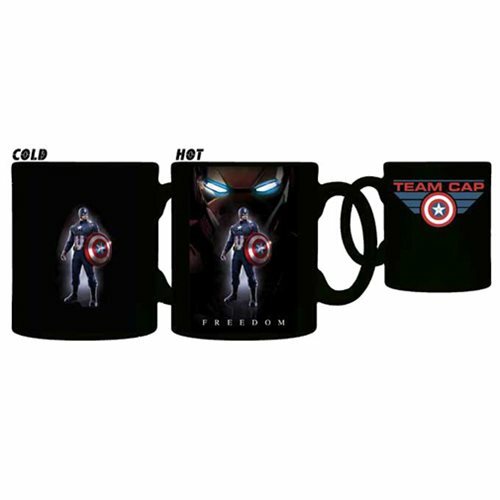 Heat Change Mug starts off black with Captain America on one side and "Team Cap" on the other side, but just add some hot liquid and the word "Freedom" appears underneath Cap along with a vignette of Iron Man behind him! Mug holds up to 11 ounces of liquid. Handwash only. Not dishwasher safe. Do not microwave.